Hi. I bought my H500i case from NZXT and after 3 days CAM sent me notification that you have deleted my RGB preset thing (i dont know exactly how it was written there). I cant even see the preset icon in left bar of the CAM. CAM also cant detect GPU fan speed (it says that there is --RPM). Can you please help me?? I saw this review : https://en.wikipedia.orghttps://www.tomshardware.com/reviews/nzxt-kraken-x72-360-cpu-cooler,5575.html, and was down with buying a Kraken X72 for my Thermaltake Tower900 build. Even though I cringed at having to finally get Win10, as I am totally one of the guys that would use Win7 up to one year past support, but that is whatever, I can adapt and move on. Having info sent about my CPU and and GPU when I'm online is fine, thats not something I guess I really care too much about..........But...Are you saying you need to log in to use this...HARDWARE...with an online service?? I just can't wrap my head around that. Did no one remember the original XBOXONE sell, and how well that went over with it's always needing to sign in not be a great idea for everyone. I mean, lets say Im actually rich, (I'm SO not) and wanted to build a neat rig for my cabin that gets VERY minimal Dish based net, like something that I would just update while in civilization, and bring to it's destination all set up to just play an Ultra modded GOG.com based version ofOblivion through a snowstorm. I , As of now, being even a RICH person for this scenario, can't use your product. But the realistic non rich person scenario is more like, The internet is not perfect in connections across even the best areas, things go down, and things mess up, Why would you consider making a product COMPLETELY dependent on a connection to an outside line at ALL times? Why can't I just get the software, and it manages the hardware no matter what? My Question is, do I need to get a refund, because my internet is not perfect. but I use my PC like, ALL the time, as it's going to be part of a more living room style set up, and I am spending a CRAPload of money on this build, So I would like it to work with or without internet access after the initial set up and updates. I have bought one, and I WAS legit planning on buying one for my GPU, because I have a stupid amount of room in this build, and EVERYONE agrees that the hardware is AMAZING, seriously, the ONLY downfall to all this is CAM from what I have seen on these forums. What do I do? Are you going to give everyone want they overwhelmingly seem to want? Or am I returning this product and buying two of you competition? I mean, Your hardware even LOOKS the best, the ONLY thing killing this is CAM, YOU know it, and EVERYONE on these forums seem to express this sentiment to the point I had to write this. I'm DUMB for not coming here first. I get that, But .....me peeps, You need to fix this because everyone WANTS to love this product....this EXPENSIVE product......bet then CAM comes into the equation, what are you are going to do? I apologize for the long paragraphs, this is a weird format to write long things in. When i log in the CAM, it shows me every panel, but the RGB light doesn't seem to be anywhere. It has been like 2 weeks now that i cannot see the rgb lighting. I have the case NZXT h500i, everything were working fine but the past few weeks i cannot see my rgb channel or even the panel in the platform on the left side it used to be. It seems, to missing some other panels too but i am not sure which ones. New x62 Kraken LEDs and LED strips on the H500i not working. The LED strips connected to the HUE+ on the H500i are turning on but will not change colour in CAM. As for the kraken the unit is being found in CAM and seems to be operating correctly but again the LEDs will not turn on at all. I have not been able to change/update my Kraken X62 lighting after upgrading to Cam 3.7.4. Please help. Alternative to CAM. I give up with it. At this point I give up. I'm tired of seeking support from a developer that simply doesn't care about their user's opinion on it. 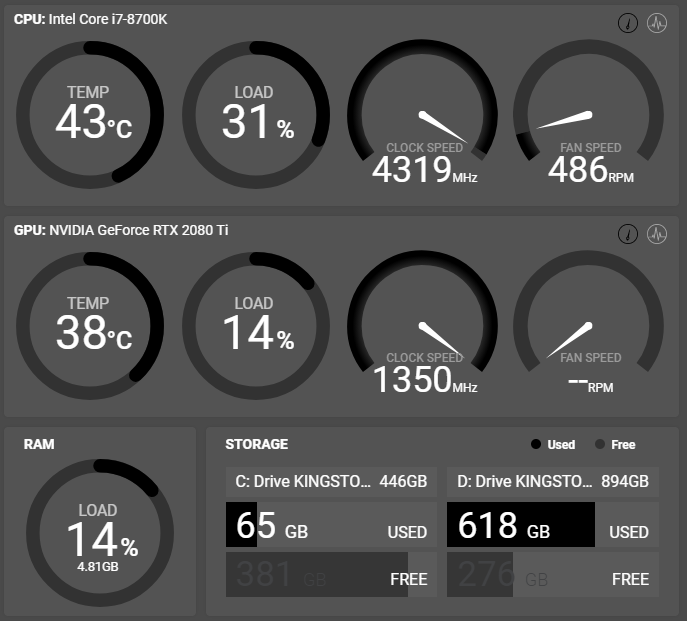 Is there any other software/s out there that I can use to control my pump and fan speeds?This software is utterly useless. This is unexcitable NZXT! I as well as many others been experiencing this issue far too long now but today I nearly lost it when I saw that my AIO's fans were idle while I was playing a game. My temps were steadily rising into the 80's. How's this still an occurring issue if what it seems like every update/patch a member from your team ensures that the issue itself has been resolved when it hasn't. It's sad that I can't trust the software that's supposed to go hand and hand with the hardware that I've purchased. I may have to result in a 3rd party application due to the lack of reliability with NZXT's. I do not have the CAM fan control option, how do I get it?